You naturally want to look your best, but it is hard to find the right short hairstyles for fat faces and double chins. Ideally, you want a hairstyle that detracts from the roundness of your face and helps to give you a longer, more elongated face shape. The following 20 short hairstyles for fat faces and double chins 2019 can help you begin your search for a style that looks great on you. Over the long term, there are a few things that you can do to reduce the roundness of your face. Losing weight helps to reduce body fat, so eat a healthy, balanced diet. Reducing your sodium intake and drinking plenty of water will help prevent water retention that causes swelling and roundness. In the short term, you have to pick just the right hairstyle to make your face seem thinner. Contouring makeup is also a great way to add a bit of leanness to your face, so invest in the right products. With a little work, you can make sure that you are putting your best face forward. This is one way to make your face look longer while still enjoying the convenience of short hair. A short bob is a stylish, easy to maintain hairstyle. Keep in mind that you do not want to use straight bangs. As a general rule, straight bangs will just make your face appear rounder. Instead, brush your bangs to the side slightly to make your face look thin and sleek. With a short bob, you can also style your hair straight, in waves or cute curls, so there are many styling options to choose from. A pixie haircut really needs to be layered if you want it to look its best. Pixie cuts tend to look adorable on people with chubby faces and double chins. The layers help to attract attention away from your face. Plus, the shorter hair in the pixie cut helps to lengthen your neck and give your overall appearance a longer, thinner look. 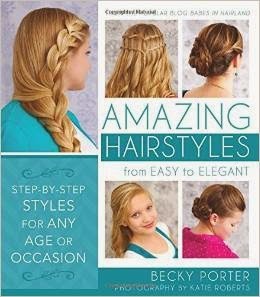 Best of all, this is another hairstyle that is easy to style and has a number of options for how you wear it each day. 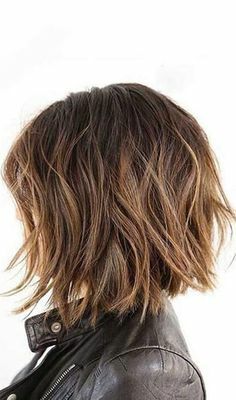 You really can’t go wrong with a layered bob. The added layers help to remove the focus from your double chin or round face. For this hairstyle to really work though, you need to make sure that your bob is not cut exactly at your chin line. Have the style go just past your chin. If you make the mistake of matching your bob perfectly to your chin, it ends up accentuating the roundness of your face and your double chin. Any type of wave or curl will generally attract attention away from the rest of your face, so a wavy hairstyle is a great option. You can use wavy styles with a basic bob style or go for shoulder-length hair. With both options, you can always add in some sideswept bangs to finish off the look. If your hair is naturally straight, then this look will be effortless to style in the mornings. Straight hair helps to lengthen out your face, and side bands are a great way to reduce the overall roundness of your face shape. Curls go a long way toward hiding fat faces and double chins. 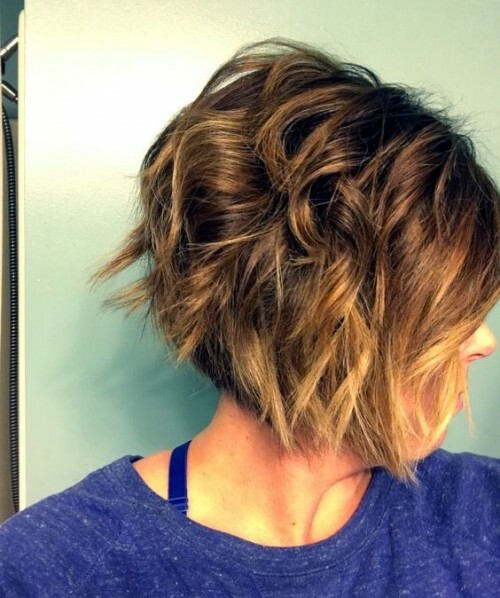 This short hairstyle might take a little more work to do in the morning, but it definitely looks amazing. 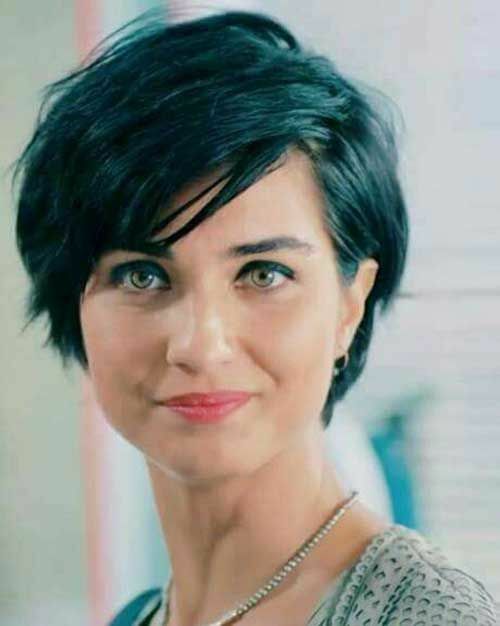 You can create this look with a variety of different short cuts, but make sure that the bottom of your hair is either below or above your chin line so that it doesn’t accentuate the roundness of your face. To do this look, make sure that the hair falls lower around your chin and shorter in the back. This reduces the bulk in the back of your hair while giving you a lovely, edgy look. 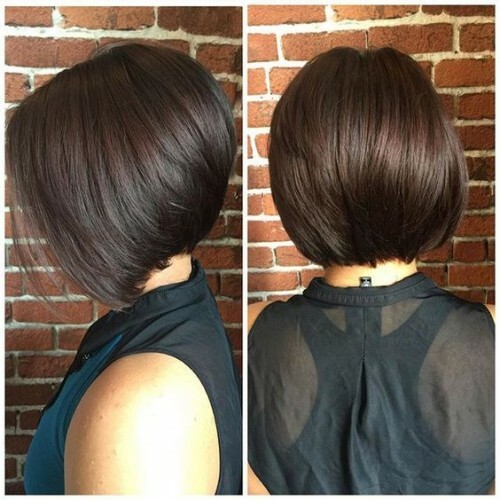 You can style a stacked bob with straight hair or go for curls when you want a more formal look. Either way, this haircut will leave you looking and feeling amazing. Bobs are always a good choice for someone with a round face or double chin. If you have naturally wavy hair, use some product to scrunch your hair for a wavy, messy look. You can also style your hair so that you end up with a straight, gorgeous-looking bob. Best of all, this hairstyle is just long enough for a ponytail, which makes it extremely convenient for whenever you are on the go. You can’t go wrong with this chic style. The look accentuates your cheekbones and draws the attention away from the roundness of your face. While it is a fairly classic cut, the asymmetrical aspect gives it a hip, trendy edge. 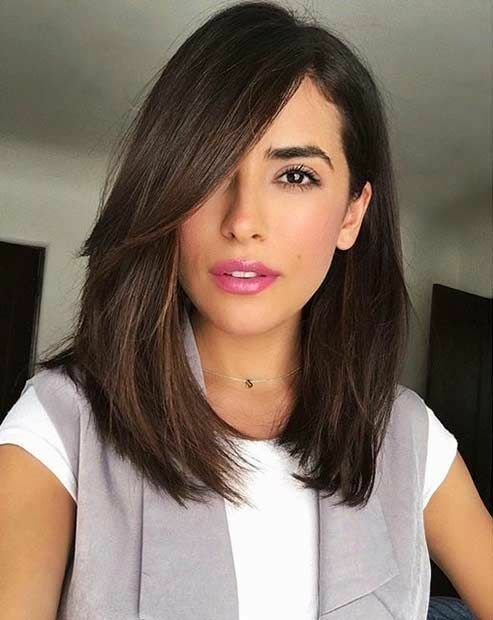 It is an especially great choice if you have naturally straight hair because asymmetrical bobs look amazing when you leave them sleek and straight. 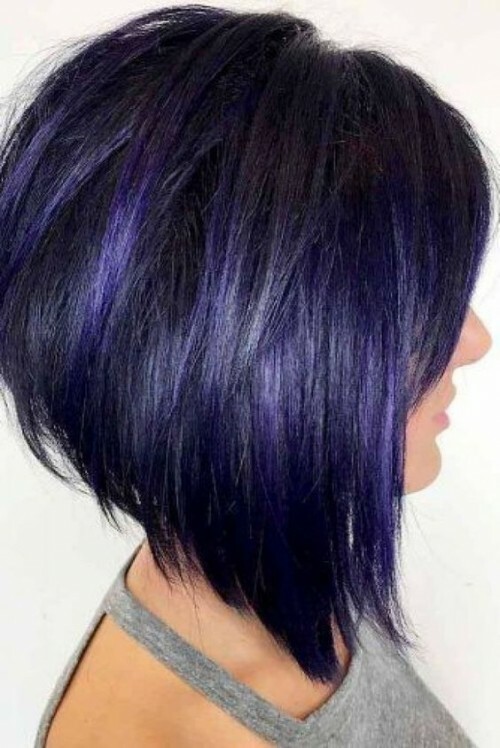 This pixie has a lot of texture and separation that makes it look amazing. The longer front is extremely flattering for all face shapes, but it is especially good at making round faces look thinner. Just make sure that you sweep your bangs to the side because straight, forward-facing bangs are a no-no for round faces. 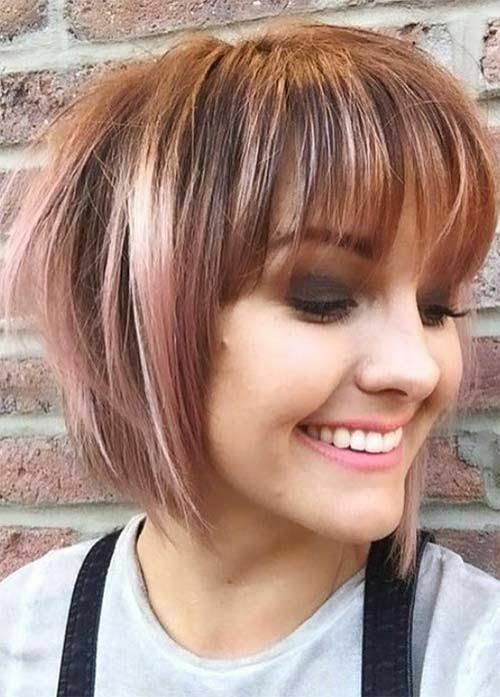 If you do choose a pixie, just remember that you will need to head back to the salon fairly frequently because this look starts to grow out fairly quickly. 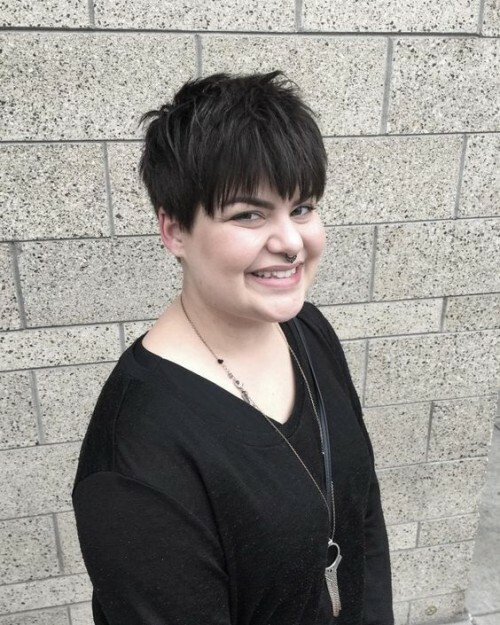 An asymmetrical pixie is one of the best short hairstyles for fat faces and double chins 2019. The longer bangs can be merely pushed to the side or curled slightly for an edgy look. This is probably the edgiest cut on this list, which makes it a great choice if you like to be ahead of fashion trends. The back of this cut is blended to create a classic, feminine look. By undercutting some of the hair, you are able to get a unique shape and add some volume to the style. An undercut is also useful if you want a pixie style, but you have extremely thick hair that makes styling difficult. Instead of going for just sideswept bangs, why not make all of your hair sideswept? You can do this with many short hairstyles by just creating a side part. This layers hair on one side of your face and helps to reduce the overall roundness of your face shape. While this hairstyle was a bit trendier a year or two ago, it can still work to hide a round face. By increasing volume at the top of your head, it helps to elongate your face for a thinner look. It does take a bit of work everyday, so you’ll have to skip out on ponytails and messy buns if you want to do this look. 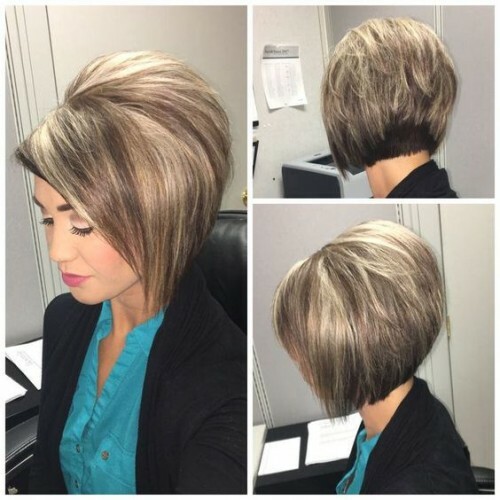 For this short hairstyle to look truly amazing, add some texture to give the appearance of layers. Keep it shorter in the back than in the front. Then, for an edgy, sleek look, make the front asymmetrical. Voila! Asymmetrical styles always give your hair a certain edge. An asymmetrical bob is easy to maintain and looks great when you just leave your hair straight or wavy. For an edgier, more gorgeous look, spend some time curling your hair. To make sure that your curls look their best, you will probably want an asymmetrical bob that falls a bit past your chin line. Then, your curled bob will still be long enough to look great after the curls shrink the overall length. If you are afraid that you will not like having short hair or a pompadour, you don’t have to worry. You can still get a pompadour-like look without chopping off all of your beautiful locks. Any updo that sweeps the hair upward and on top of your head will give you the same elongated face shape and added volume of the pompadour. Plus, this type of look is great for weddings and formal events. 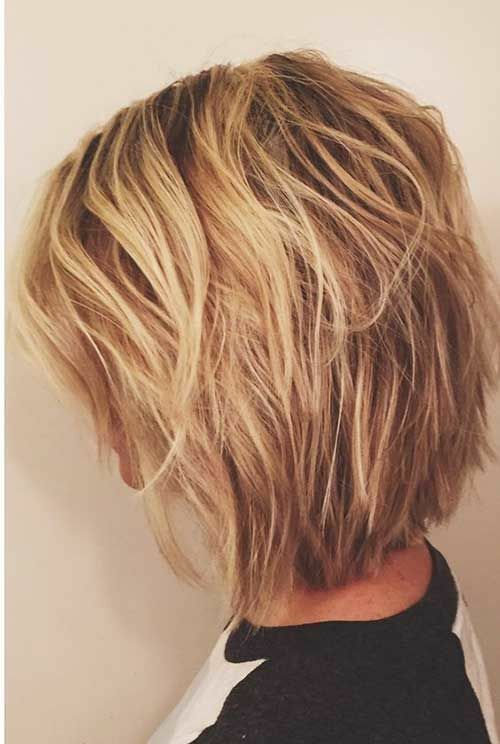 This short hairstyle looks effortless, yet amazing. You don’t need layers for added volume with this look because the messy styling adds all of the texture and volume you need. Add in an asymmetrical line, and you get an edgy, chic look. You can use this styling technique to take your pixie cut to the next level. Leave the sides sleek and tucked in. Then, use product to add height and volume to the top of the style. Gorgeous! This works with most bob styles, although it does really well with an inverted bob. You add volume in the back of your bob by teasing your hair with a styling product and blow dryer. The added volume in back helps to naturally elongate your face and gives your short hairstyle a more finished look.